A custom made hacky sack to kick start your promotion! Fully customise these Juggling Balls/Hacky sacks the way you want them! 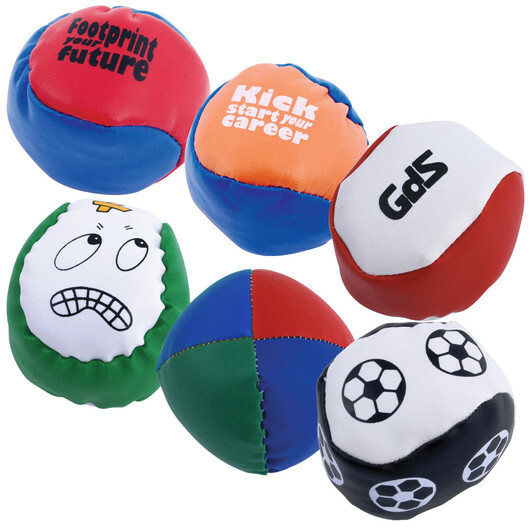 These balls are made with a sewn PVC cover and are filled with plastic granules. Your choice of either 2 piece or 4 piece made from the same or different panel colours. Ask us today if your envisioned design is possible!